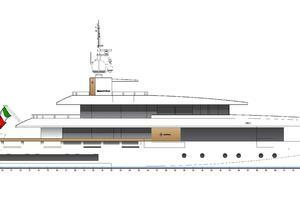 50M Momentum Explorer is a custom new construction project from the Italian Sea Group which can be completed in just over 2 years time.Each layout & interior decor is customized at the request of the individual client.The common theme in the Momentum Explorer series is the expansive use of glass throughout the superstructure combining the interior & exterior spaces into one.Caterpillar ACERT C-32 engines give her a 5,000nm range at 12 knots and a top speed of 15 knots so true flexibility in cruising conditions.The large aft deck area allows the yacht to carry multiple tenders, jet skis & waterspouts toys. 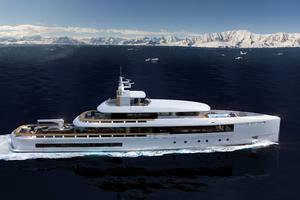 A lower beach club doubles as a dive center so you have all the features one would expect on a true expedition yacht. 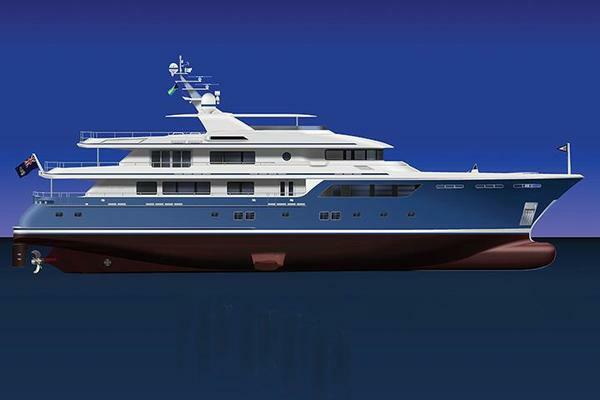 United Yacht Sales New Jersey would love to guide you through a personal showing of this 164' Admiral Explorer 50 2018. 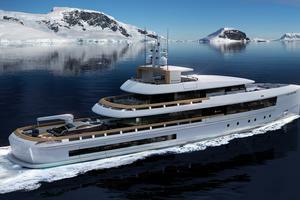 This yacht for sale is located in Unknown Italy and priced at $26,500,000. For a showing please contact us by filling out the form on this page and we will get back to you shortly! 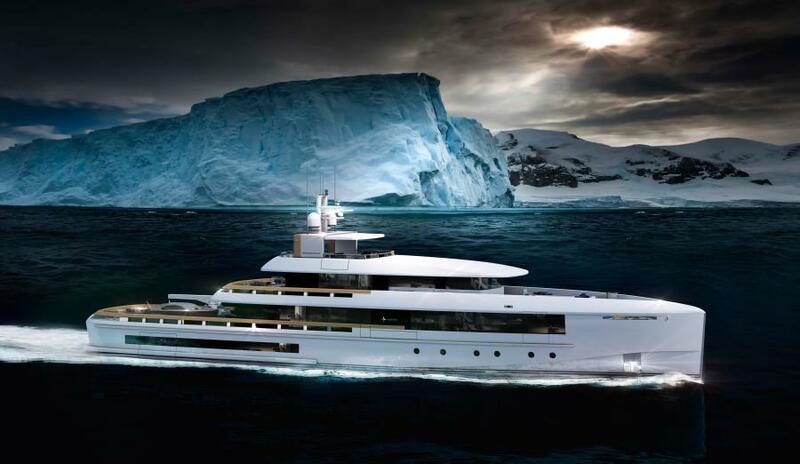 The M50 Momentum Explorer is a 499 GRT full displacement expedition yacht featuring a steel hull & aluminum superstructure. 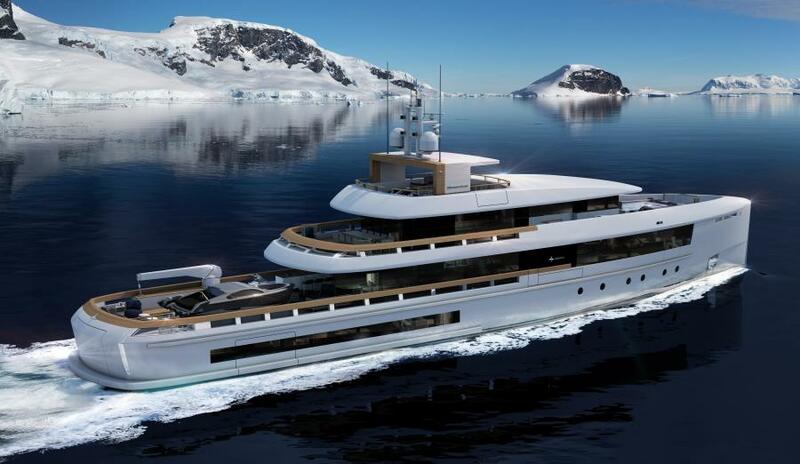 Her Caterpillar Acert C32 (1081kw @ 2100 rpm) gives her a 5,000nm range with 10% fuel burn margin at 11 knots and a top speed of 15 knots. 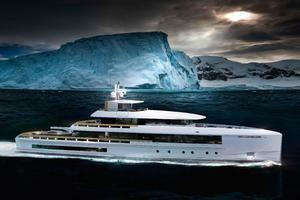 Zero speed stabilizers and her steel hull assure complete comfort in any sea condition. 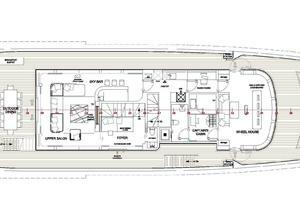 The M50 sleeps 10 guests in 5 cabins including a spacious master cabin located forward on the main deck with private balcony & office. Formal dining for 12 is just aft. Both the main salon & sky lounge areas take advantage of the excellent use of glass creating inviting spaces with excellent views for when traveling to remote areas of the world. 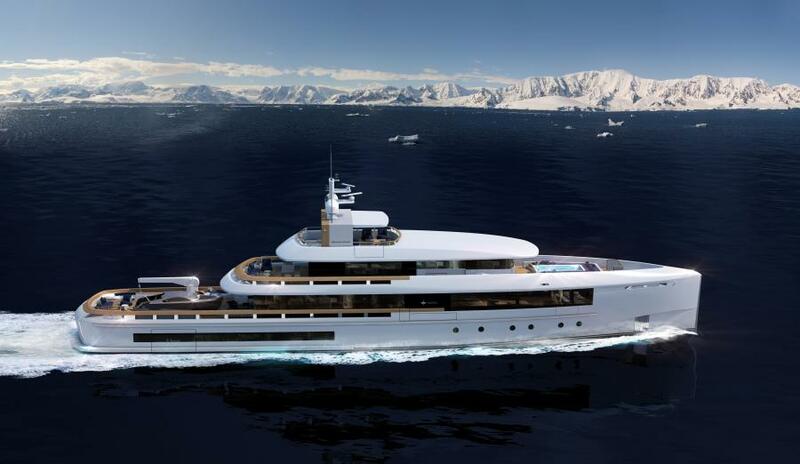 The theme found on the entire Momentum series continues with the extended, open aft deck utilized for carrying multiple tenders and toys as one would expect on an expedition yacht. 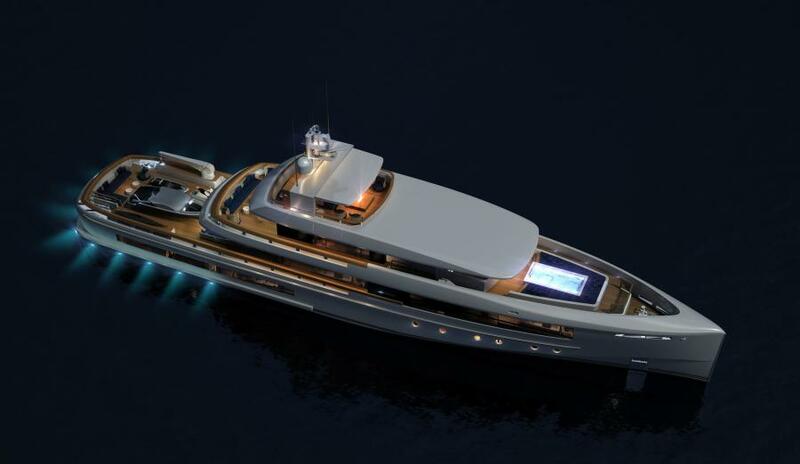 Below the aft deck is the garage/beach club/gymnasium area complete with full bathroom. 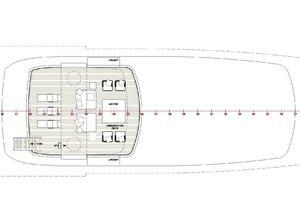 Fold down balconies are located both to port & starboard. 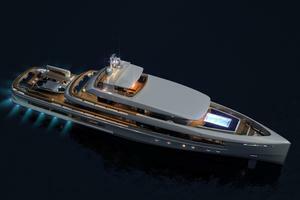 Clients can configure this space as they wish and the options are endless.The spaceis completed with a large transom door that folds down with a retractable swim platform allowing guests easy access to the water. 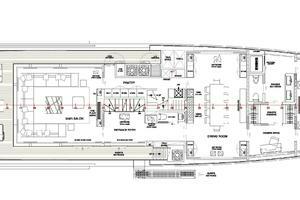 The upper deck has a generous captain’s cabin, ships office, full bar, media room and a multi-purpose space with a bathroom that could be a sixth cabin, massage room, or library. 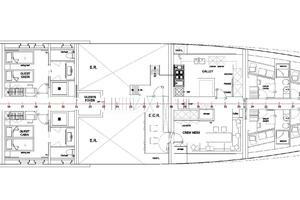 Forward of the wheelhouse is a large pool surrounded bysunpads. The sundeck is exactly that. A space filled with lounge chairs,sunpads, and a fire pit providing guests a great space to enjoy the best views on board. Standard accommodations feature 5 spacious cabins sleeping 10-12 guests with a crew capacity of 10 including private captain’s cabin behind the wheelhouse.The interior layout (GA) can be customized to suit any client’s needs including a beach club, gym and massage area accessible from the lower deck guest staterooms.A large full beam master stateroom is located forward on the main deck with owners office and walk-in closets & ensuite amenities. A private owner’s balcony is a great feature for enjoying a coffee in the morning or privacy while at anchor.For the main salon & dining areas both located on the main deck, you will really start to pay attention to the use of glass and how much natural light is allowed into the interior.The bridge deck sky lounge has a bar and seating area providing a comfortable environment to relax with some of the best views on board.There is alfresco dining that can easily seat 12.Tender capacities on main deck aft can accommodate a tender up to 7.50 meters + rescue tender 3.20 meters, space for addition jet skis, sea bobs & other watersports toys.What is special is that the main deck aft will also double as a touch and go helicopter landing pad.On the foredeck, you will find asunningarea around a generously sized pool.